Announcing Nevron Open Vision for .NET 2015.1! Announcing Nevron Open Vision for .NET 2015.1 – the first and only cross-platform component suite for .NET! Nevron Software announces the official release of Nevron Open Vision 2015.1 – the first and only cross-platform component suite for .NET application development. With this release Nevron introduces the NOV Diagram for .NET along with new features in the already existing controls and various improvements. 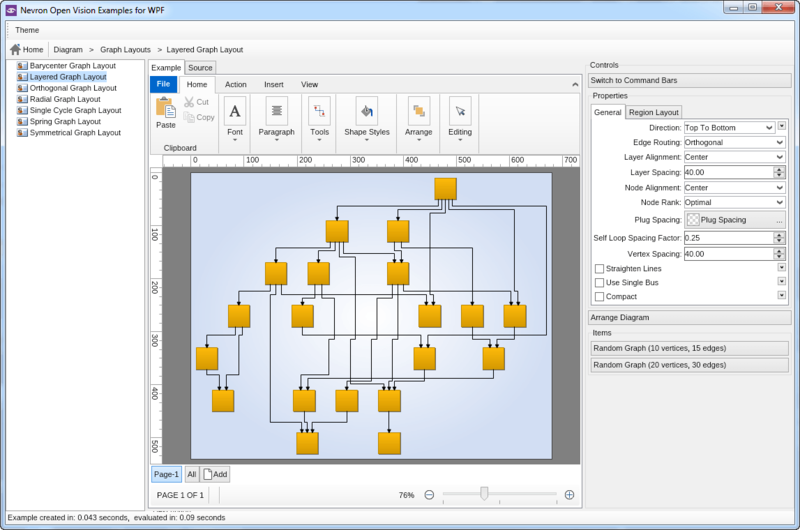 NOV Diagram is a diagramming solution, similar to Microsoft Visio and features a full set of diagram interaction and editing capabilities, smart shapes and automatic layouts. 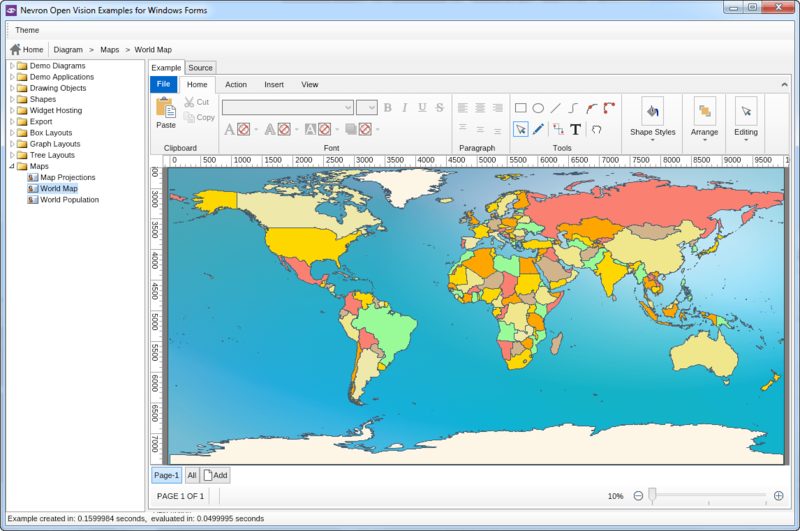 It is also the component behind Nevron Draw - a commercial competitor of Microsoft Visio for Windows and Mac users. NOV Diagram for .NET is a fully managed, extensible and powerful diagramming framework, which aims to help developers create feature rich diagramming solutions in WinForms, WPF, Silverlight, Xamarin.Mac, MonoMac and ASP.NET environments. Full programmatic access to map elements including shapes and paths and many more! Nevron Open Vision introduces its ribbon control: a widget that allows developers to easily enrich their applications with Microsoft Office like ribbon UI. NOV ribbon (part of NOV UI for .NET) is fully customizable and scales its child widgets automatically based on the available area. Added ribbon UI to the rich text editor with the ability to easily switch back to traditional command bar UI if the user prefers it. 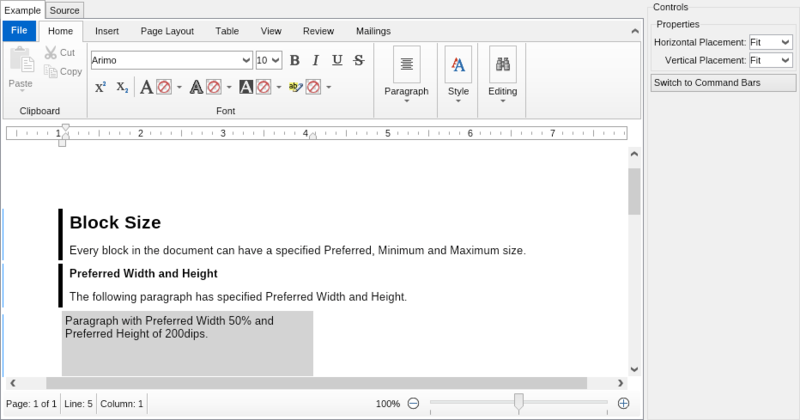 Compatibility and performance improvements to the DOCX import and export. Improved HTML import and export. The best way to understand the power of Nevron Open Vision for .NET is to test it yourself. This is why we provide a fully functional 60 days free evaluation with no obligations whatsoever.